Brachioplasty, also known as an Arm Lift is the removal of excess skin from the upper arms. When patients suffer emotional strain from the appearance of their arms, going through an arm lift surgery just might be beneficial for them. Causes of flabby skin in the upper arm area could be due to aging, weight loss, or genetics. Fluctuations in weight, growing older, and heredity can cause your upper arms to have a drooping, sagging appearance. This is a condition that cannot be corrected through exercise. Are you a good candidate for Brachioplasty? Arm lift surgery may be right for you if or appear loose and full due to excess skin and fat. You have realistic expectations. It is very helpful to look at Before and After pictures to assist you with you expectations and your decision process. You do not smoke. If you are a smoker, you are strongly encouraged to refrain from smoking for at least a week prior to your surgery date and continue to refrain from smoking for two weeks or until your incisions have healed. This will promote faster healing and reduce the risk of infection. Our expert CRNAs will place the patient under IV sedation. The procedure takes a couple of hours and during that time the surgeon will crisscross incisions along the under arm to remove the excess fat. Once the skin is removed, it is then put back together with stitches. The patient must then wear compression wraps for the healing process. 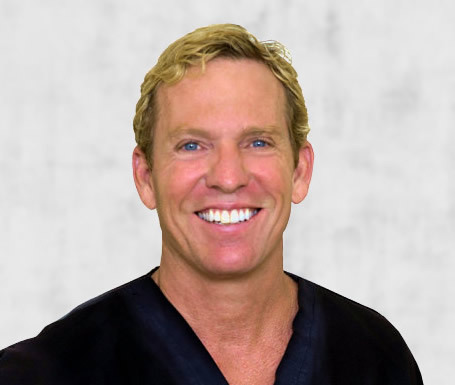 The surgery is performed in Estetica Institute’s accredited surgical center, in Palm Beach Gardens, Florida. Our surgeries are performed at our state of the art surgical ORs by a highly trained staff of professionals who all maintain the highest credentials. Our facility is accredited by the American Association for Accreditation of Ambulatory Surgery Facilities (AAAASF). Typically, a Breast Augmentation procedure takes about two hours to perform. Patient will recover for about a half-hour after the procedure, and then may go home. After surgery, you just should stay home and rest in the 24 hours following surgery. You will be sent home with a package of instructions. Patients may take a shower 48 hours after surgery. Patients can return to work and other activities two weeks after surgery with all the stitches and bandages removed. Brachioplasty procedures can be performed along with other surgeries, if the patient would like to combine procedures. The most common issue with Brachioplasty is the scar it leaves. This is due to the intensity of the incisions made in the arm. If the patient would like to participate in after surgery therapy, that might help limit the visibility. Also, styles of clothing can also cover up an unwanted sight of the scar. When the procedure is complete, the results are permanent and the appearance of the upper arms is dramatic and positive after surgery. Of course, we provide pain medications that you probably need to take for only a couple of days, although the discomfort levels vary from patient to patient. Our caring and highly trained staff is here to help from your initial consultation through your recovery. The doctors are just a phone call away 24-7 for you after any surgical procedure. For more information about arm lift procedures performed by the expert plastic surgery staff at Esthetic Institute or to schedule an appointment, please call 561.776.9555.